On this guided food tour of San Francisco’s Chinatown, you will taste five different mouthwatering delights. Three of the tastings (enough for lunch) will be done seated inside the restaurants and two tastings will be done on the street in front of the establishment. 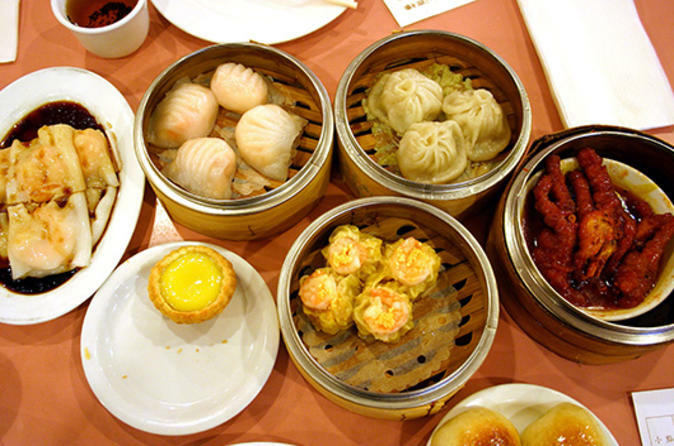 You will be enjoying Cantonese barbeque-pork filled buns, President Obama’s favorite SF dim sum, Chef Han’s world-renowned authentic Szechuan cuisine, savory Peking duck and egg tarts cooked to a smooth flan-like perfection with a buttery flaky crust. Experience the history, architecture and culture of the oldest Chinatown in North America and the largest Chinese community outside Asia. Between food tastings your knowledgeable and friendly food tour guide will discuss the story of the Chinese immigrants' arrival to San Francisco, the hidden alleys, The Tong Wars, the pagoda style Buddhist Temples and so much more. Learn about San Francisco’s Chinatown through its food, culture and people.